I was recommended to Tom, from a wonderful friend that i have known for years. She heard what happened to me and immediately recommended Tom Hudson. I called Tom's office, and immediately, he called me back and met with me. No waiting around for phone calls for days. He is the easiest person to talk to. Within 5 min, he had no doubt in his mind, that we would win my case! And we did! :) Tom called me once a week to update me on the status, when we started, and continued till it ended with a win! He was ALWAYS available to talk or communicate with me , anyway we had to,if i had any questions or concerns.. He would get back to me by the end of the day.And he always knows how to put me at ease, so i would not worry.Now think to yourself, what lawyer really would care that much to do that? And not to only mention , how many cases he is taking care of on a daily basis!! Tom Hudson does! He is confident in what he does, as so he should be. He is as sweet as a pittbull! But dont under estimate that for a weakness. He is tough as nails and dont play games. He gets what he wants , and will and did! 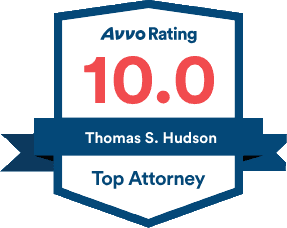 I would only recommend TOM HUDSON... AND ...YOU CAN TAKE THAT TO THE BANK! :) Not only did i have the best lawyer, i now consider him a friend for life!